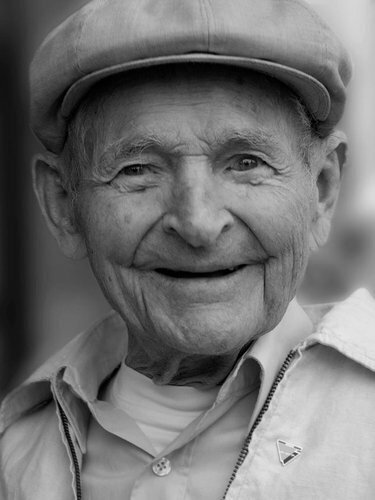 Rudolf Brazda died in 2011 as the last known LGBT+ survivor of Nazi concentration camps. The horrors suffered by gay men under the Nazis remind us of the terrible human cost of homophobia, writes Hugh Kaye. Rudolf Brazda died in 2011 at the age of 98. He was a gay man born in what is now eastern Germany. There was nothing exceptional about his death, but he was the last known LGBT+ survivor of the Nazi concentration camps. Although there are still others alive who were sent to camps, none of them were deported solely for being gay. Forced to wear the infamous pink triangle, Brazda spent three years in Buchenwald. Although there were no gas chambers, it is believed that more than 55,000 people died there through malnutrition, disease and what the Nazis called “extermination through labour”. On arrival at the camp in August 1942, Brazda was forced to undertake back-breaking work in a stone quarry. Inmates were subject to beatings, medical experimentation and summary executions - victims were either shot in the back of the head or given a lethal injection. Anyone surviving that faced death marches in the last weeks and days of the war. Little wonder that Dwight D Eisenhower, the allied supreme commander and later a US president, said of Buchenwald that nothing he saw in his lifetime shocked him as much as what he witnessed there shortly after its liberation by American troops in April 1945. Famous war journalist Edward R Murrow reported on what he found. “I was told that the building had once stabled 80 horses. There were 1,200 men in it, five to a bunk. Many of them could not [get up]. The stink was beyond all description.